“Poetry tends to be smarter than philosophy and critical theory.” So writes James Pate in the terminal essay to his Flowers Among the Carrion: Essays On the Gothic in Contemporary Poetry. The occasion for this observation is a discussion of poetry’s relationship to materialism, especially as corporeal experience, simultaneously carnal and consciousness-haunted, constitutes the substance (as distinguished from the subject) of Feng Sun Chen’s work. But is Pate just paraphrasing one of aesthetics’ oldest saws — that the work almost always exceeds the artist’s intentions? Or is Pate being more polemical? Is he claiming that poetry transcends the need for discourse by virtue of its primacy, its concrete enactment of what is otherwise merely expository? If so, however, why should this book exist at all, except as an index to poems to which and poets to whom readers may never have otherwise been introduced? The answer, of course, is that Pate’s larger argument is not reducible to this one passage. 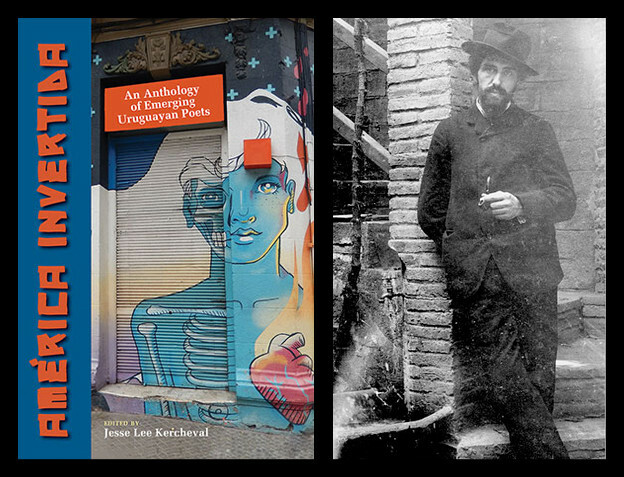 However, that larger argument about the Gothic presence in contemporary American poetry does exist within a context whose dimensions and boundaries increasingly impinge upon anyone who chooses to write about poetry and poetic practice. What is the role of evaluation in analysis? Can a critic be said to offer a critique if she abstains from holding the object of her critique up to standards of accomplishment and worthiness? And much more complicated — are we to say fraught? — is such a critique when the poetry under scrutiny proceeds from a rejection of traditional notions of well-formedness. For, from another perspective, nothing is more Gothic than the canon with which such standards are affiliated. Revenant and atavistic, this canon cannot be separated from the racist, misogynistic, colonialist cultural realities coincident with its formation and perpetuation. As long as (Western) canonical notions are allowed to contaminate critical discourse, that discourse will remain simultaneously pre- and post-traumatic: inherently historical, but tragically unable to overcome its madness, the origins of which lie in privilege’s own hallucinated ahistoricity. 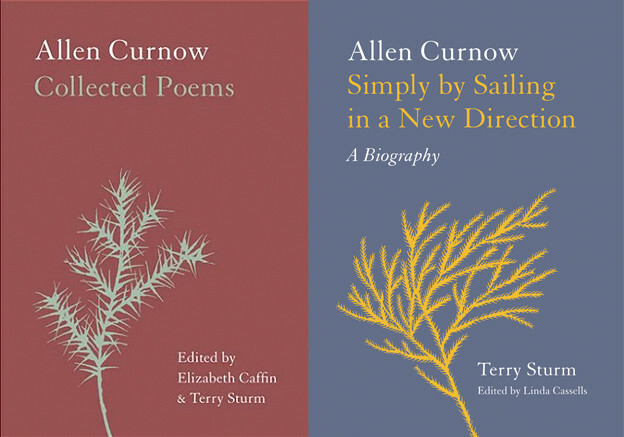 To suspend judgment from aesthetics, then, appeals to many contemporary readers and observers of poetry as a more forward-thinking and even ethical choice. Pate’s essays here — five of them, one an introduction to his own definition of the Gothic mode and the others each focusing on a single book by poets Sade Murphy, Johannes Göransson, Joyelle McSweeney, and Feng Sun Chen — tend to favor this approach. And there is much to recommend that choice. 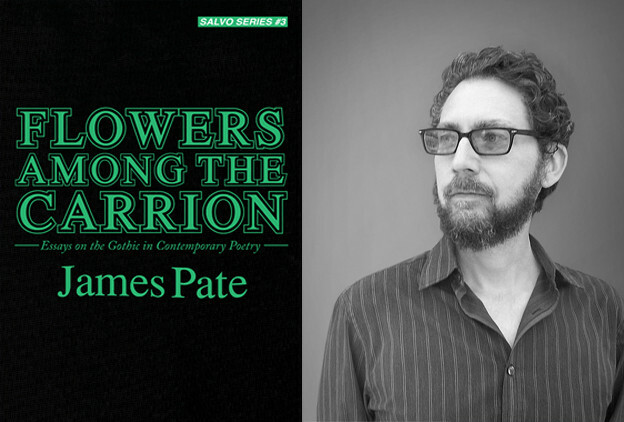 For one thing, Pate has selected a diverse group of poets, one that, as also he points out, cuts across lines of ethnicity, gender, and class and cannot be grouped in a single generational or geographic “school.” Furthermore, all four of Pate’s subjects are poets whose work, in a sense, refuses to behave. Göransson and McSweeney in particular are self-declared enemies of “taste” and the substitution of intuitional (i.e., “I know it when I see it”) “goodness” for aesthetic rigor. All four write poems that are at least contiguous with excess. Most importantly, perhaps, all four are primarily poets of content rather than form or procedure. As Pate repeatedly demonstrates, images and the physicality of poetry (its sounds, its tempos) matter greatly in each poet’s work. The sugar in Göransson’s The Sugar Book isn’t allegorical, nor has it been transubstantiated into an objective correlative. This sugar’s meaningfulness must be activated in the act of tasting. Similarly, Sade Murphy’s Dream Machines are not mimetic. They are not dreams recorded or recounted. Murphy’s poems are actual, incarnate hypnagogia. To read one is to engage with a prosthesis that, like the Brion Gysin–designed device with which Murphy’s collection shares its name, somehow effects a revolution of one’s private reality — at least as long as one elects to open one’s perceptions to those stimuli. However — and this is significant — we can only experience this sublimity at the price of exposing our individual consciousness to existential threat. Whether this danger takes the guise of “nonsense,” or the horror of diseased and broken bodies, or even overtly religious rapture, that “I” cannot be effaced unless it is first inscribed. If Pate’s book could be longer, one might like to see it engage more fully with how, utilizing specific figurative and discursive strategies, Murphy, Chen, McSweeney, and Göransson define and establish subjectivity within their poetic cosmologies. Marx, factories, the melodramatic, subjects turning their gaze upwards in supplication, awe, and/or probing: on their own, these emblems might feel quaint, or even ornamental. (This reviewer cannot help but think of his own exposure to the fin de siècle decadent mode thanks to H. P. Lovecraft’s prose poetry juvenilia, e.g., “Nyarlathotep.”) But the Gothic is, at a fundamental level, history’s lunatic/dreadful doppelgänger. McSweeney’s poem, and Pate’s reading of it, takes the reader on a descent into the neoliberal unconscious, one in which repressed aspects of nineteenth-century life return and are strangely welcomed, not shunned. In fact, one of the more impressive pivots Pate makes in Flowers Among the Carrion is to shift the gravity of the Gothic’s anxieties. Pate’s Gothic is no dreamy, evanescent déjà vu. It is an insistent sense of anticipation, the certitude of a postapocalyptic future on the horizon of our post-truth present. Once that future arrives, what will reading be, and what metalanguages will define the poetic? Literary scholarship is already becoming more and more algorithm-driven. Singularity scenarios aside, a corollary of Joyelle McSweeney’s “plague ground” theory — in short, that contemporary poetry is so overpopulated that traditional methods of classification and appraisal can no longer provide adequate resistance to so-called “bad poetry,” i.e., those methods no longer possess an-aesthetic relief — is that the progress of literary scholarship will inevitably be bound to the insensate omniscience of machine language. Even now, texts are being aggregated, atomized, tagged, and reassembled along statistical coordinates. And such readings are very distant indeed from readership as we understand and live it. How so? For human subjects, reading is still an experience. But doesn’t the difficulty become that such experience — as somatic as hunger and as cognitive as deduction — might be “critic-proof” in its primary relativism? Experience may move outward from its objects, but, being subjective, that motion stops abruptly as soon as it encounters the outer edges of otherness — organic or (loosely speaking) technological. One’s own pain is pain; another’s pain, however empathic one may be, is mimesis. At the same time, experience is largely ex post facto. Only once a particular experience comes to an end is the subject presented with an opportunity to name the experience as such. Experience performs upon the subject; the subject performs its identity upon experience via the gestures of interpretation. To build a literary discourse around experience, and to concentrate on experience to such an extent, perhaps even going so far as to elevate it to the position of a metalanguage, would seem to this reviewer to be an attempt to “save” the humanity of poetry in the face of its imminent decline (or demise). Yet, again, Pate consistently views the Gothic from an antianthropocentric perspective. The final thought in Flowers Among the Carrion is that “[t]here is a massive vitality to this book [Chen’s The 8th House], but it’s not one that places us at its center” (48). How will successive generations of AI “critics” interpret Pate’s employing humanistic strategies to make a case against humanistic arrogance? Will they be able to read this paradox, or, for that matter, any of the other paradoxes animated by Pate’s inquiries into whether contemporary poetry has a present? Ultimately, Flowers Among the Carrion’s most significant contributions are most likely to be felt in the zeitgeist. Beyond what the Gothic has to tell us about trends and threads in contemporary poetic practice, the Gothic is significant because of how it hovers within (if not also over) the popular imagination. “Goth” means something to a nonspecialist audience in a way that neither “the lyric” nor “the semiotic” do. The Gothic is therefore a Girardian mythology, supplying the ground for ritualized practices (e.g., consumer behaviors that attach themselves to Goth expressions in music, books, film), social cohesion, and, most crucially, explanations for what historical narratives cannot encompass (e.g., our private experiences of the greater, impersonal and often unacknowledgeable forces that shape our collective destiny). Pate’s resuscitation of the Gothic is, in a profound sense, an adaptation to the actual circumstances in which much of McSweeney’s “plague ground” poetry is actually written and read. For twenty-first-century Western subjects, poetry is not so much an object or even a text as it is a demotic (if not democratic) activity subsumed, like all activities, by media structures — themselves far more pervasive that the twentieth century’s centrally broadcasted spectacles — of online life. Poetry as a form of passing time, of self-branding, of virality, of commentary and protest. Poetry as unadulterated expression, “raw” rather than cooked. Poetry, too, as the guise of poetry; poetry as lines, stanzas, a vague but recognizable bundling of verbal intensities. Shared across social platforms, all attributions are equal, and all poetry is contingent. Likewise, no “like” or up-vote is insignificant when it comes to recording impressions. It’s not that poetry’s relevance is at stake in whether or not one accepts that the Gothic, with all its sentiment and cliché, exerts any pressure upon the poetic language of the present. We’re well past postmodernism, and fretting over low/mass culture. Rather, a more complete and sophisticated understanding of criticism’s propensity to itself spill out of the paratextual and into the poetic requires a better reckoning with poetry’s weak yet persistent popularity, as well as with the informal, nonscholarly discourses that encode poetry as unpopular, as endangered, as “weird,” as problematically “niche” in a culture in which every one of those niches is arrayed within a spectrum of nerdom, poetry thus somehow failing some essential test of nerditude. In other words, what happens when we accord the poetry coterie’s own chatter serious consideration? (The Flarf phenomenon is strewn with clues, but, because it became something of a self-conscious movement with individual leaders, Flarf proved too conclusive an aesthetic.) When we conceive of poetry as contiguous with rather than parallel to saying, our hermeneutics take on a different cast — that is, pallor. Talk is ephemeral, and indiscriminate, and yet, if poets aren’t talking amongst themselves, they probably aren’t composing verses. Otherwise — to paraphrase an actual celebrity (not to be confused with either a “famous” or “respected” or even “influential” poet) — the poets aren’t bringing poetry back. It is this sempiternal, grievous cycle of poetic moribundity and dynamism, of senescence and mutation and extinction and engorgement, that is most fascinating, for it proposes that poetry is a primate behavior after all, and that therefore it does participate in history. And, living as we do at a cultural moment when history may truly be ending, there’s an alarming amount of time to fill with conversation. Why is the state of poetic discourse so lacking in actual poetry? In a literary environment in which writing tends towards the genreless, are we witnessing a phenomenon comparable to the so-called “spilt religion” of the Romantic era? That is, is genreless writing not “spilt poetry”? If so, are those of us who dedicate a great deal of time and energy to the poetic actually talking poetry out of existence? And so this review itself has a hard time shutting up. Nevertheless, some readers may conclude that Pate’s decision to read with rather than against the grain shows too much fealty to the stated aesthetic goals of the poets under discussion. Yet Pate’s book is far from a manifesto. Then again, in its own fashion, so is O’Hara’s founding document of the “all art” (and no philosophy) that is Personism. So with O’Hara, as with Pate’s Gothic: remember, “nobody should experience anything they don’t need to” (498). But that they choose to experience poetry at all? That merits greater investigation, and Pate’s Gothic emphasizes homeopathy over diagnosis. Flowers Among the Carrion drives out one obscurity with the likeness of a somehow-yet-different obscurity. The aim of this application is, thankfully, not to cure but to treat. 1. James Pate, Flowers Among the Carrion: Essays on the Gothic in Contemporary Poetry (Notre Dame, IN: Action Books, 2016), 38. 2. Frank O’Hara, “Personism: A Manifesto,” in The Collected Poems, ed. Donald Allen. (Berkeley: University of California Press, 1995), 499.